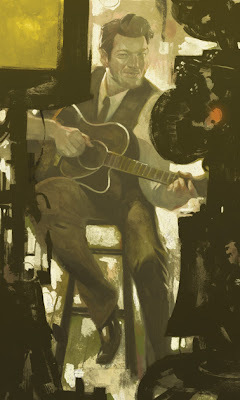 RICHARD SOLOMON ARTISTS REPRESENTATIVE: Sterling Hundley Paints Blake Shelton for Rolling Stone. Sterling Hundley Paints Blake Shelton for Rolling Stone. In the most current issue of Rolling Stone, there is a beautiful illustration created by Sterling Hundley of country music star Blake Shelton. This was actually a rush job, but you would never be able to tell that Sterling only had 2 days to create this image. He has also been generous enough to share his process with us.